Lee Johnston has opened up about his 'disappointing' TT career to date as he looks to seal a first win this year. The Northern Irishman believes he's put a difficult couple of years - which included the death of his father - behind him as he plans success in the 2019 season. 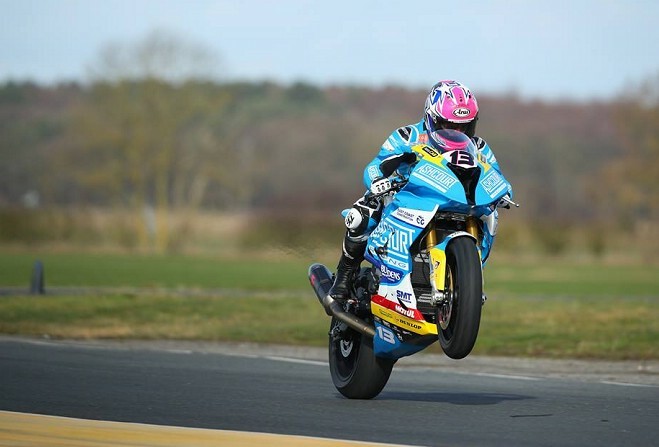 He'll be aboard the Ashcourt Racing BMW and Yamaha machines when he takes to the Mountain Course in May and he is determined to build on three previous podium finishes. Despite fierce competition in the paddock, Johnston remains confident he does have what it takes to taste victory on the Isle of Man. "To be honest, within myself and my circle of close friends that I would speak to, I think I've been disappointing at the TT really", the 30-year-old told Manx Radio Sport. "I've won races everywhere else, racing against the same people, so in theory there's no reason I shouldn't win TTs." The notion that some sports stars can try too hard, only to their detriment, is one that rings true with Johnston. He's not been able to replicate his achievements at the Classic TT, where his efforts have yielded two wins and four podium finishes. This year, Johnston insists, feels different. "I think before I've put too much pressure on myself and things haven't always been right. I need the right environment for that to happen." A third place finish four years ago is the closest the popular rider has got to a win at the TT in recent years - before difficult times have hampered his progress. "In 2015 we came close. Since then I've had big injuries and bad things have happened. "I think this year's a nice, fresh start and I honestly believe we've as good a chance of winning possibly a Supersport race or maybe a Superstock race as we do any year." As is quite often the case, a downturn in form had its roots in personal tragedy away from the track, something which Johnston is keen to acknowledge. "[In 2016] my dad passed away. Then I had two big crashes in two years as well. Things outside of my control have gone wrong. "Obviously the crashes, some of them were my fault and others weren't, but your body's still sore and you're not right." With the focus of both himself and his team now on securing glory this season, the emphasis is on ensuring he's heading into races in the perfect environment. Peter Hickman, Dean Harrison and Michael Dunlop are all amongst those he'll likely have to outdo if he's to ride to a first TT win, but he's only focusing on himself. And even the suggestion of a victory is something that brings a smile to Johnston's face. "I couldn't describe [what it would mean to win a TT]. To win any TT will be amazing. "Hopefully I'll be fit to talk to you about it after the TT this year."